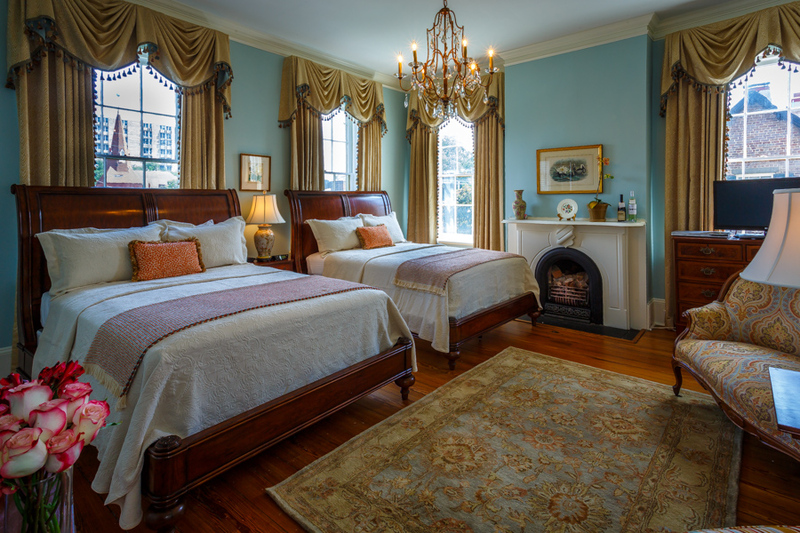 The Gastonian is comprised of two separate and almost identical buildings, known as The Main House and The Champion House. 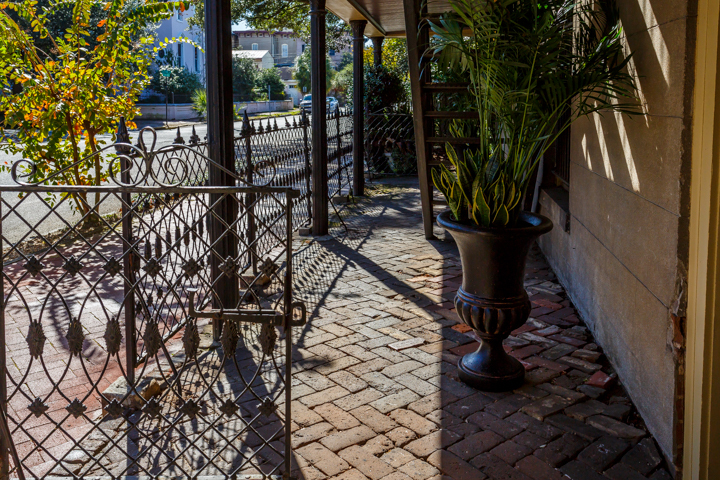 They are connected at their Parlor levels by a unique curved wooden walkway and pergola. 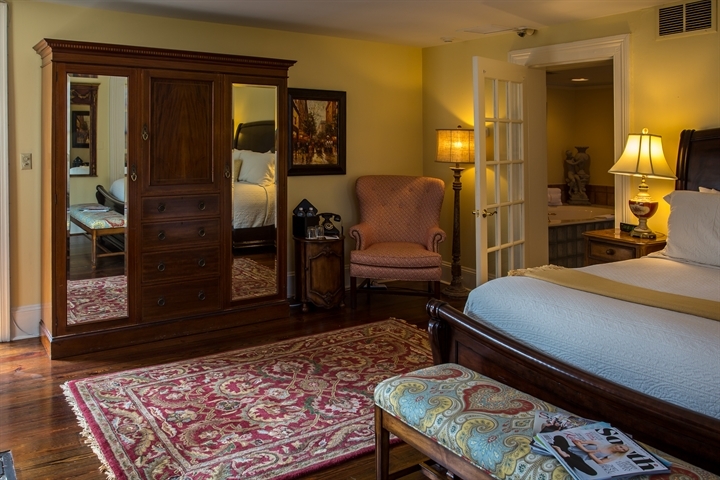 What is the Parlor Level? 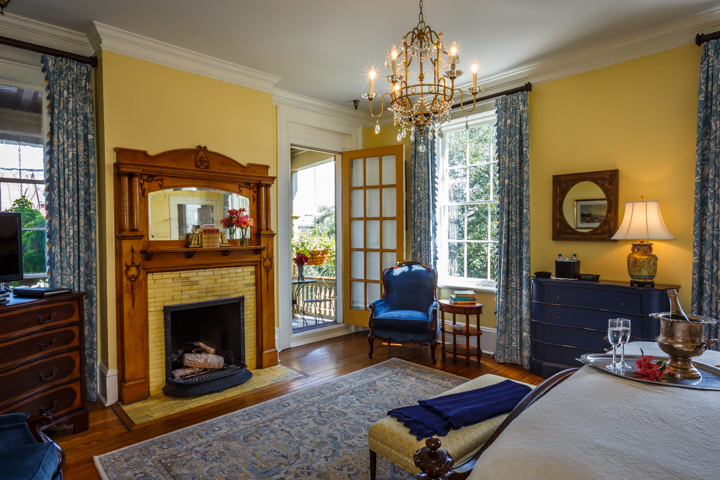 The Parlor level is the second floor in a townhouse, and is usually the grandest floor in the home with the highest ceilings. 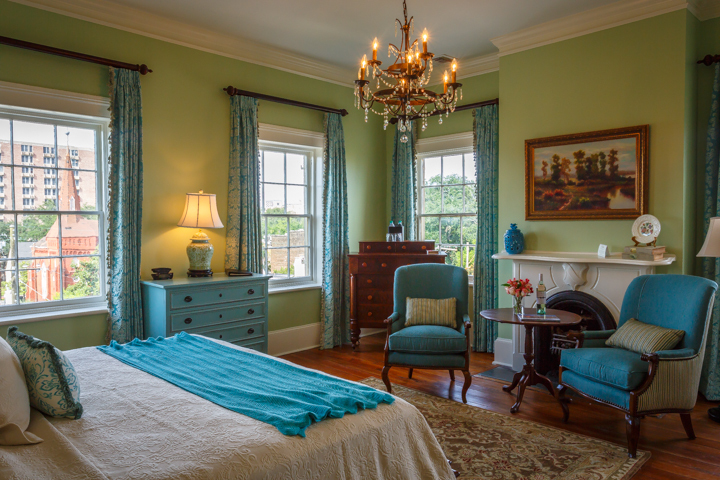 At The Gastonian, The Main House's Parlor Level has the home's living room, kitchen and dining rooms. 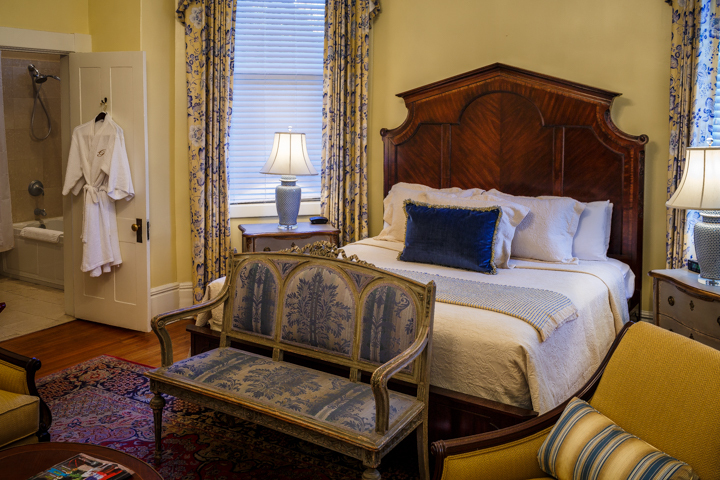 In the Champion Building, the Parlor Floor has been converted into two premium guest rooms, the Caracalla Suite and The Lafayette Room. 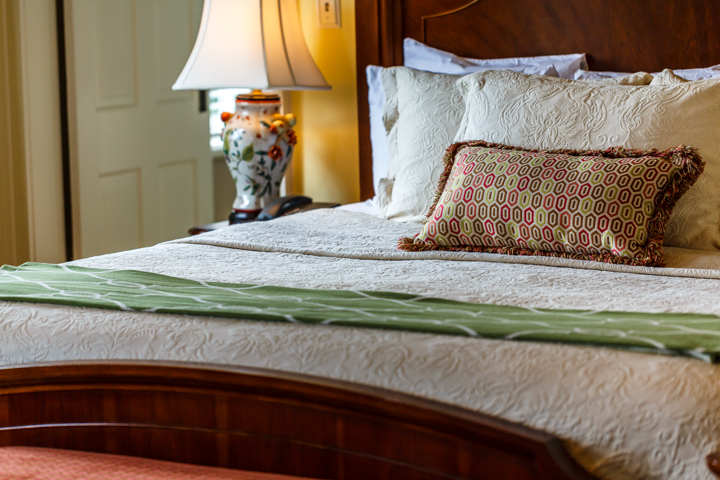 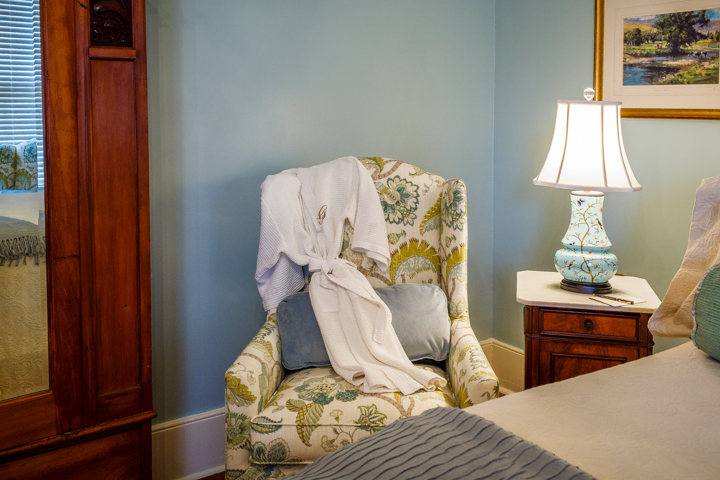 No matter which room you select, you'll be in a unique and elegantly restored guest room. 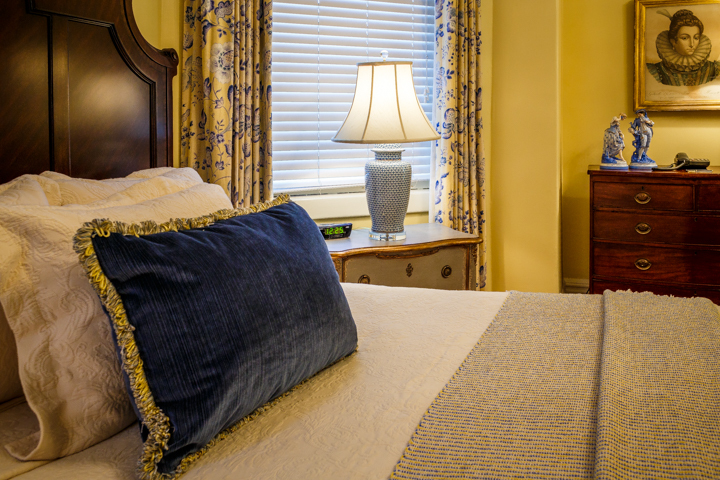 View photos of each guest room below, and feel free to call us to discuss the rooms available during your planned stay dates. 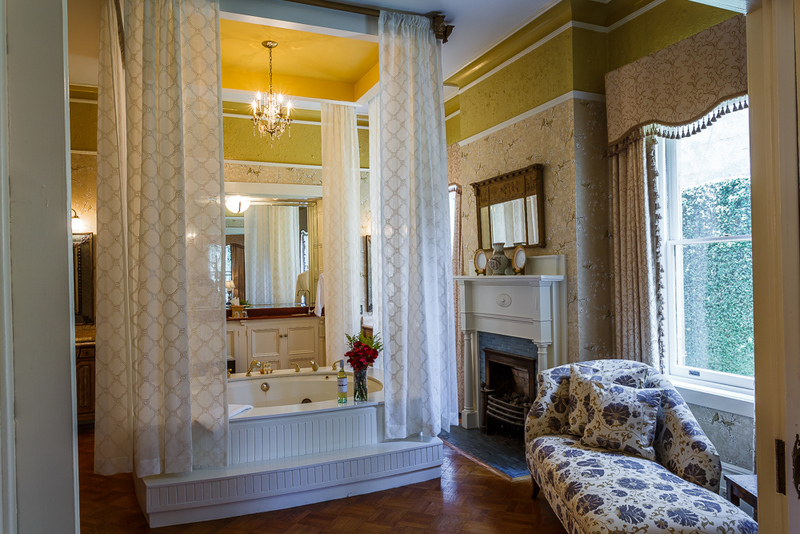 The honeymoon suite is the perfect start to your life together. 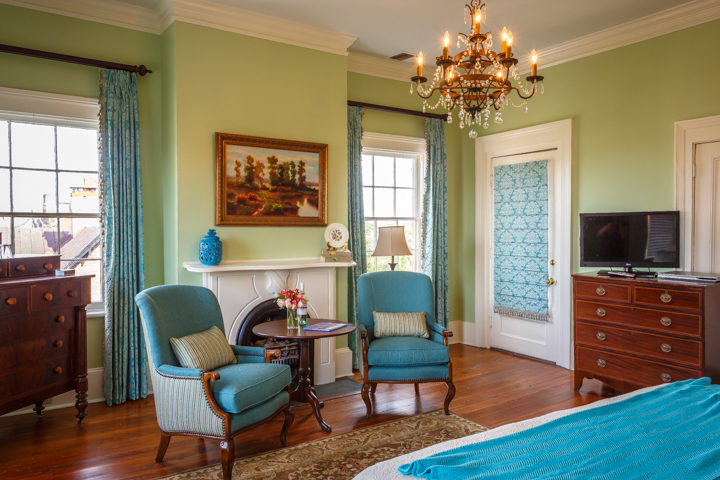 The Caracalla Suite is our most requested room type for couples celebrating weddings and anniversaries. 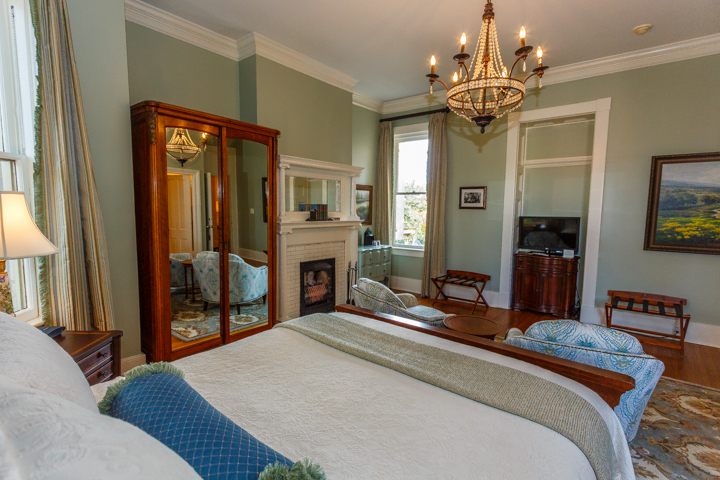 It is unquestionably the best room in the house! 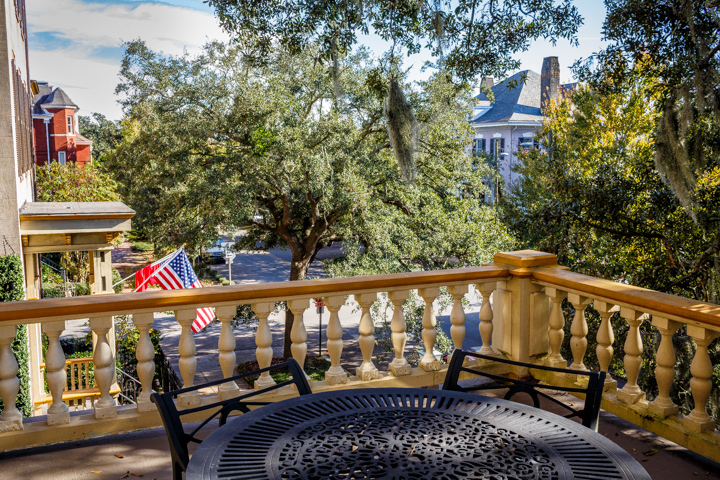 Adjacent to a semi-private balcony overlooking Gaston St. 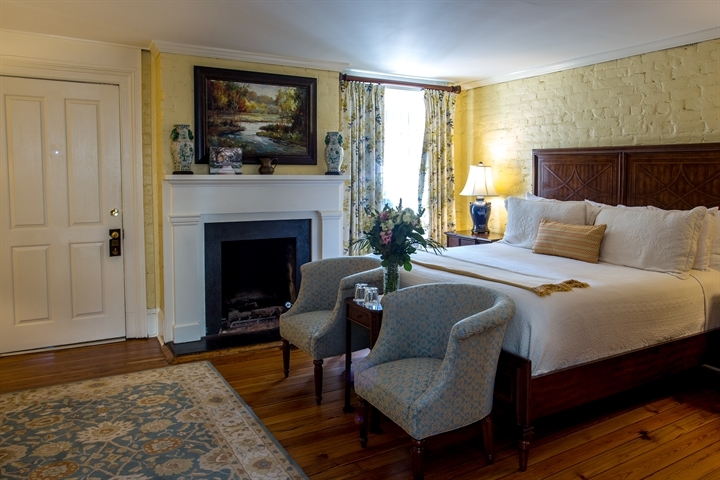 Very popular with wedding couples, this two-room suite features two separate rooms, a sitting area and bedroom. 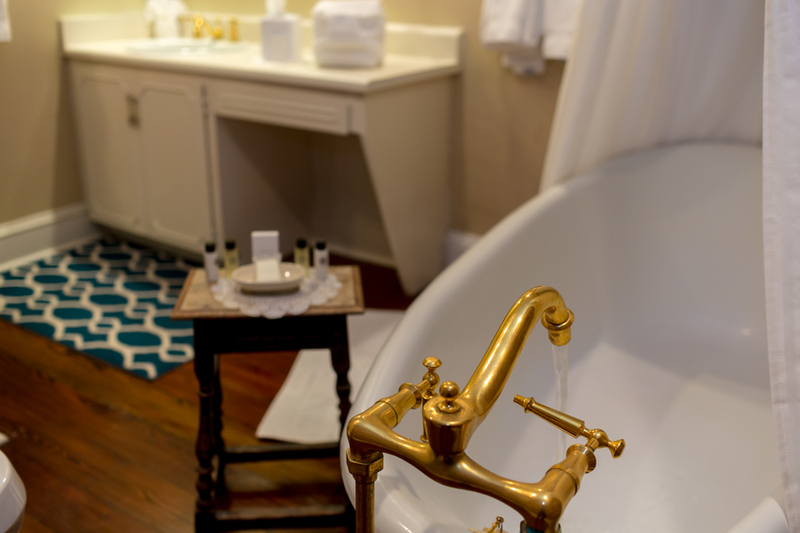 The bath has a clawfoot tub with shower, two pedestal sinks, and a separate vanity area. 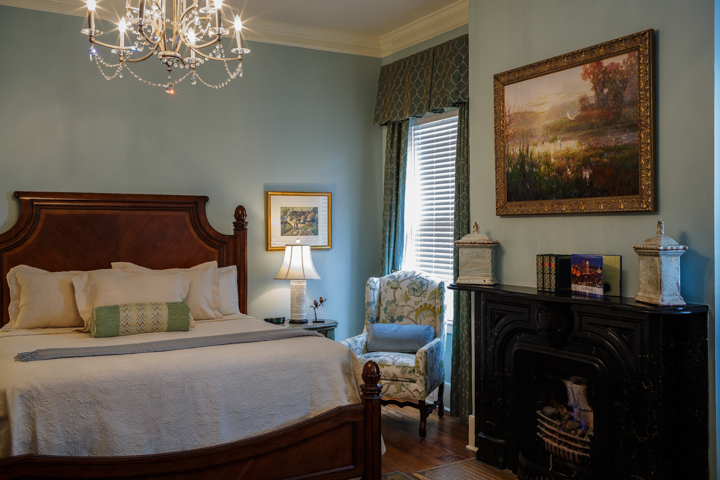 The only room at the Gastonian that has two queen-sized beds. 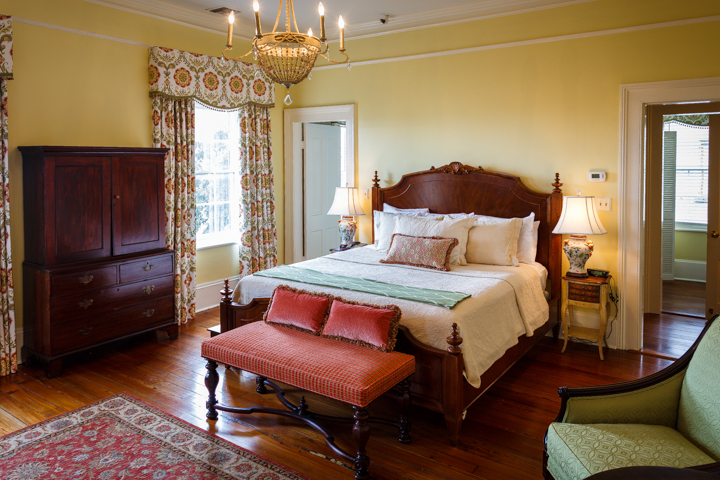 Located on the 3rd floor of the Main House. 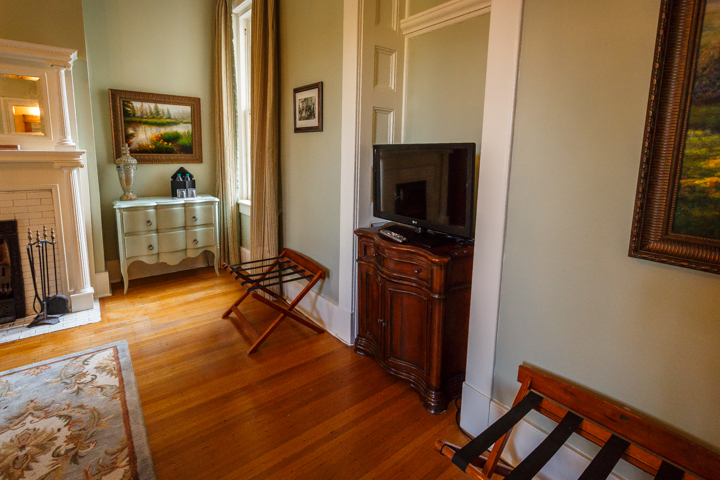 Located on the 2nd floor of the Main House. 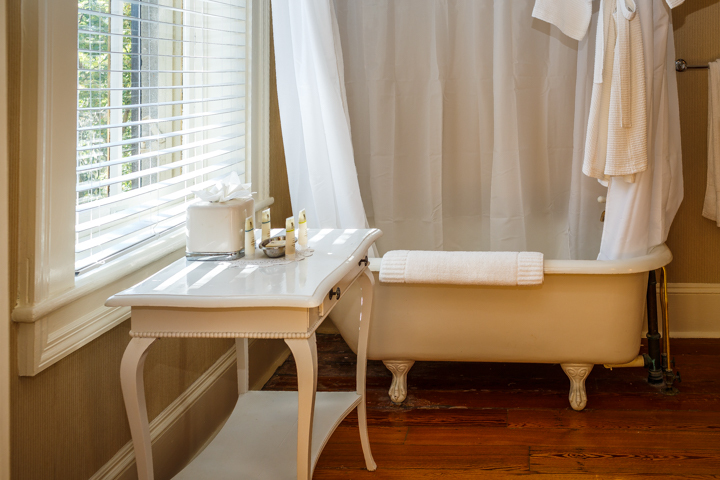 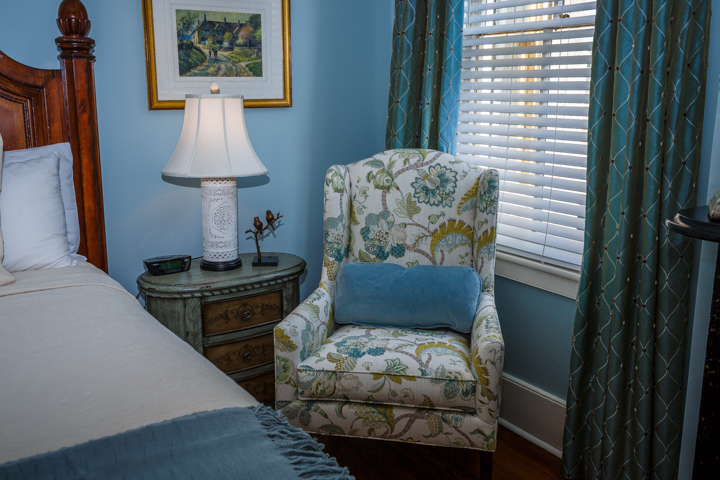 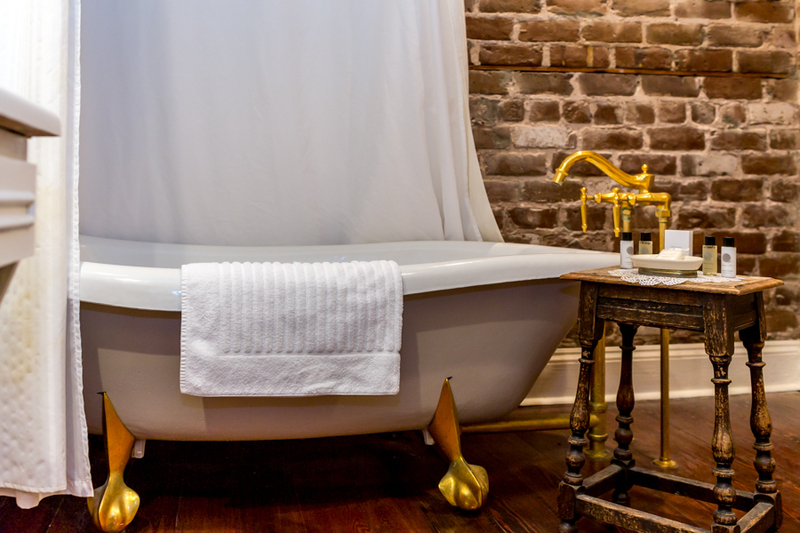 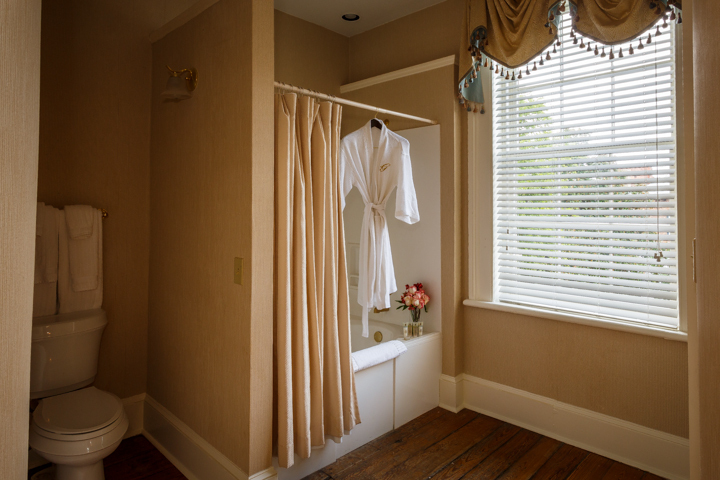 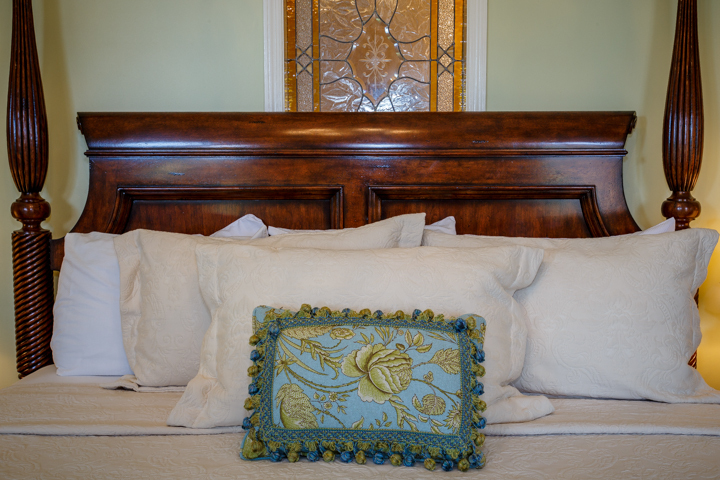 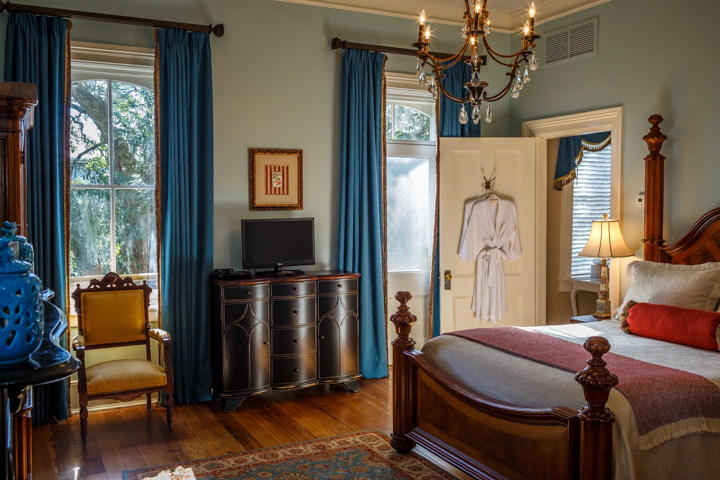 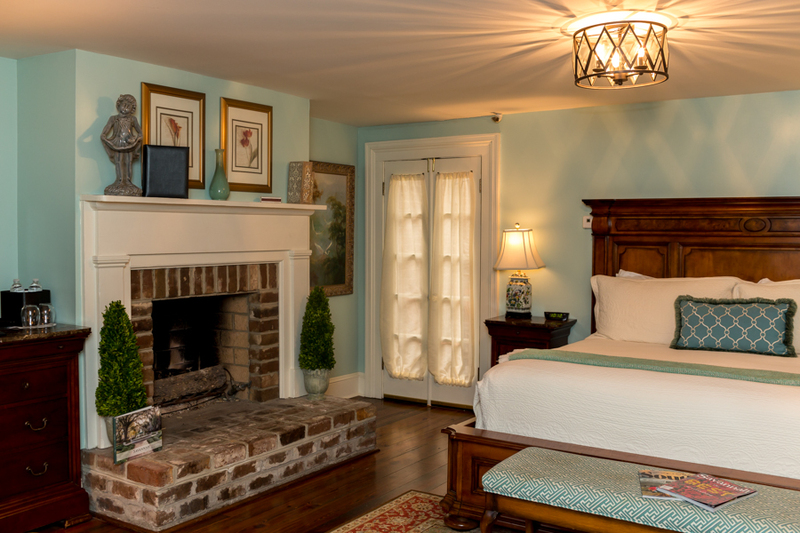 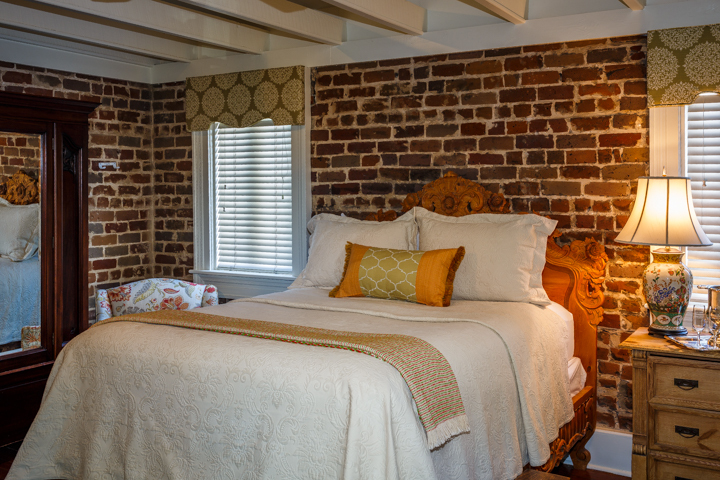 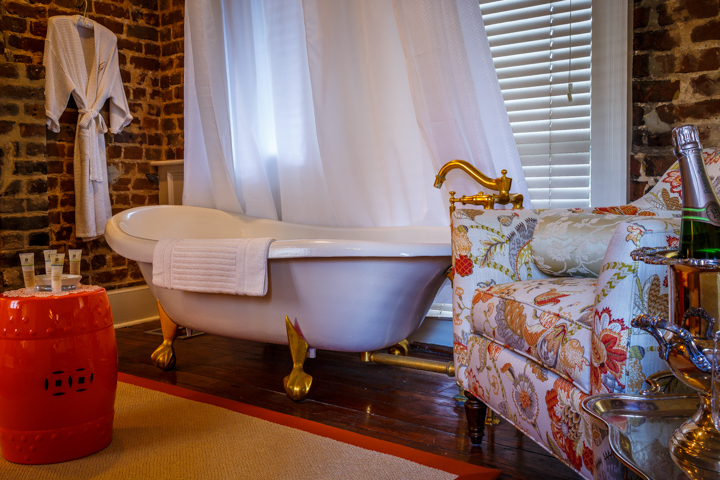 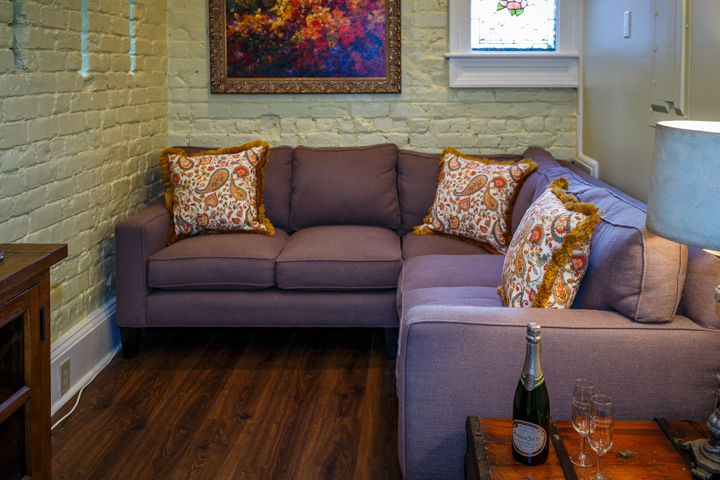 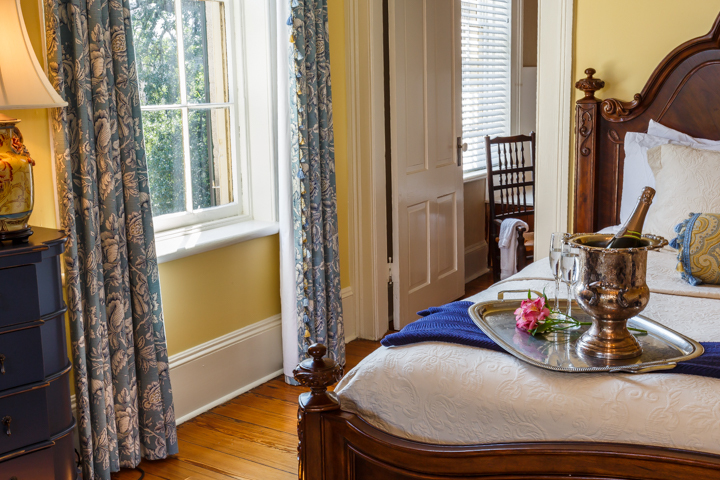 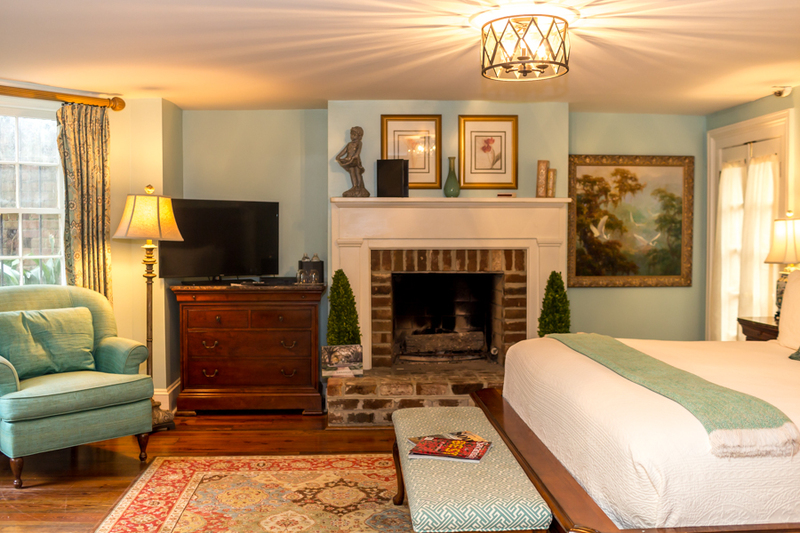 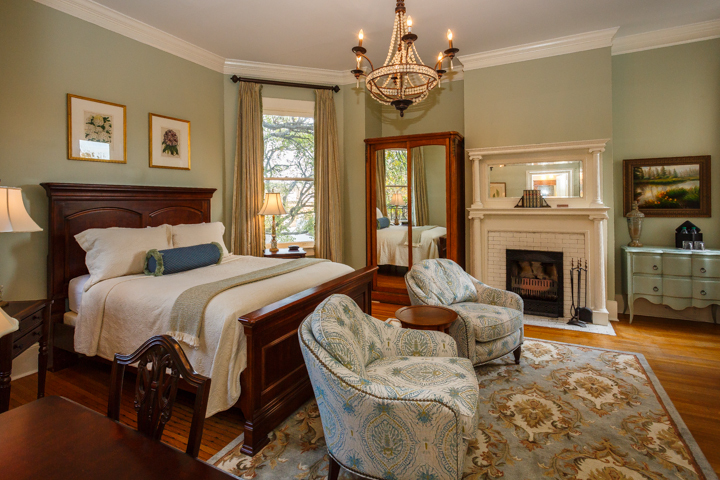 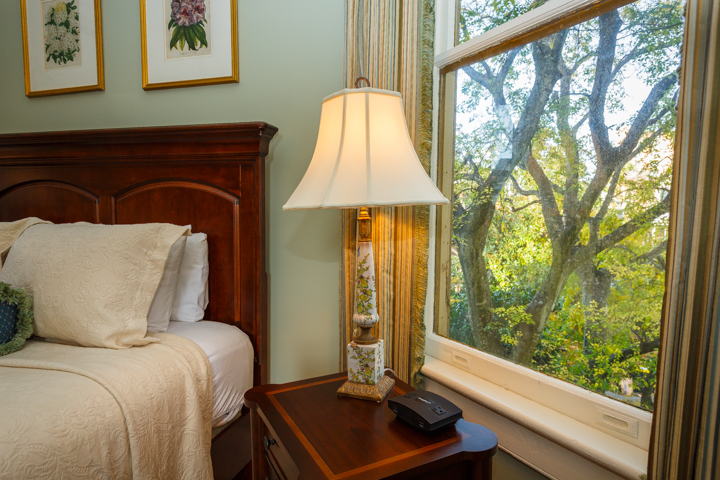 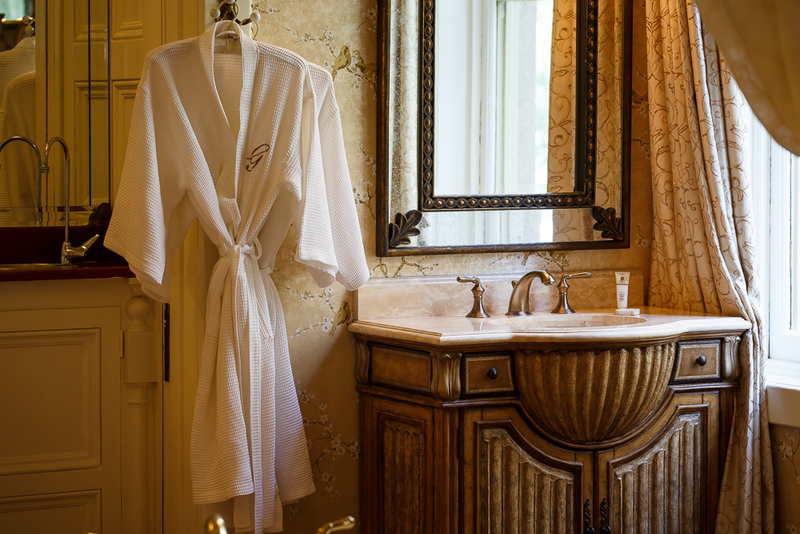 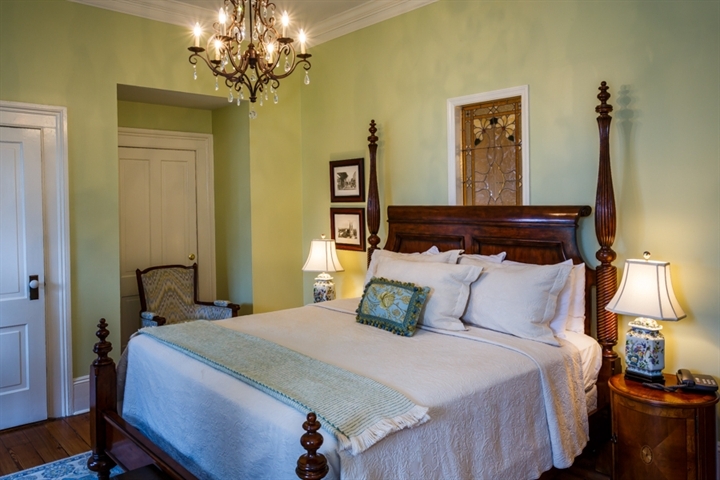 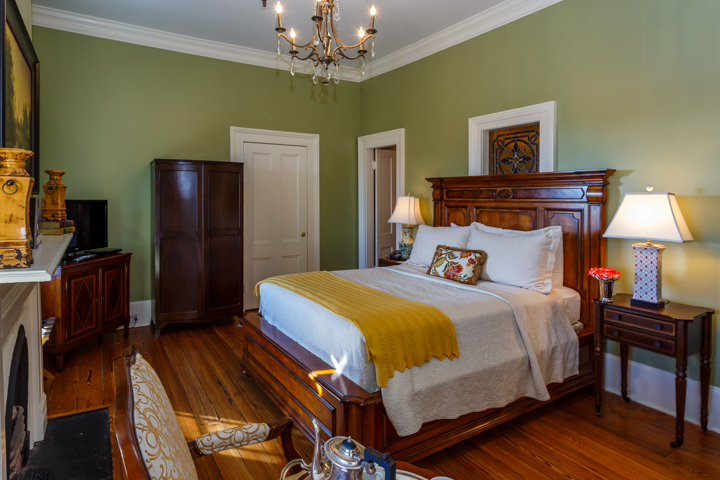 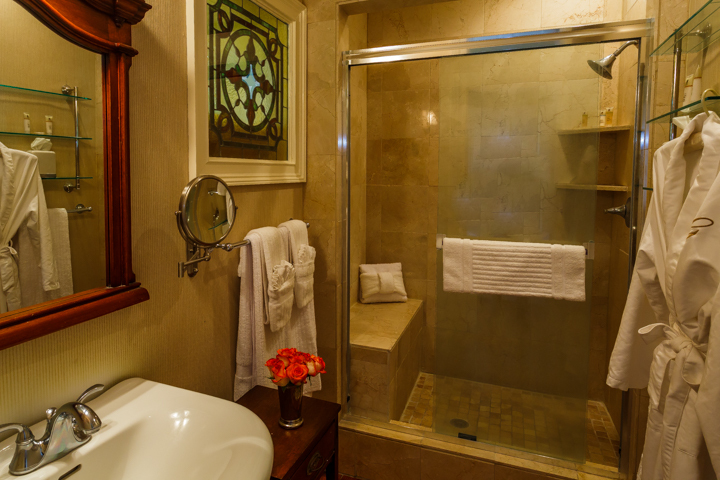 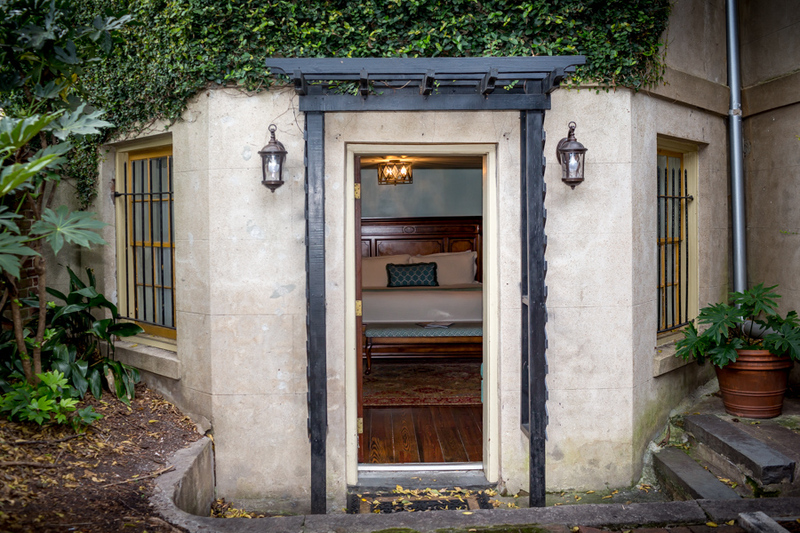 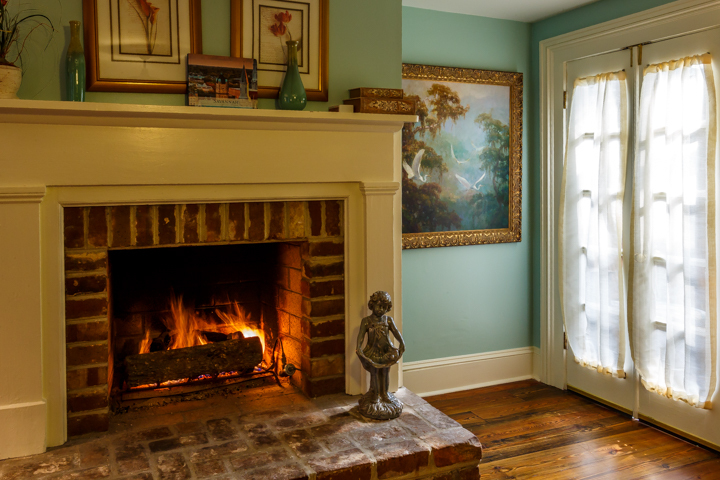 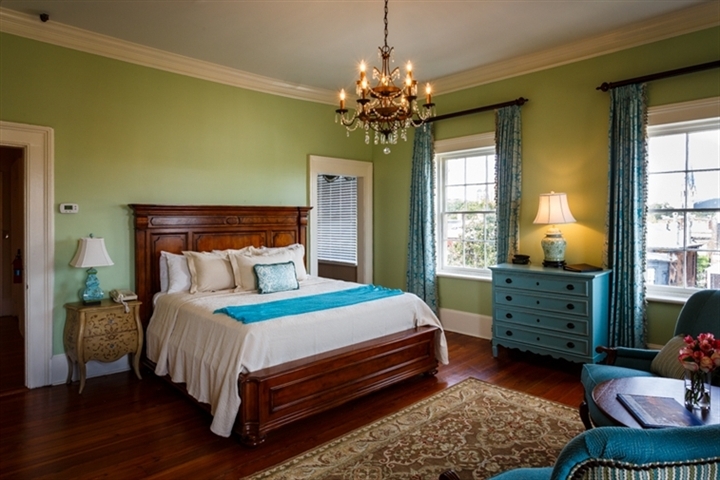 The Juliette Lowe Room is a house favorite, with a private veranda and clawfoot tub. 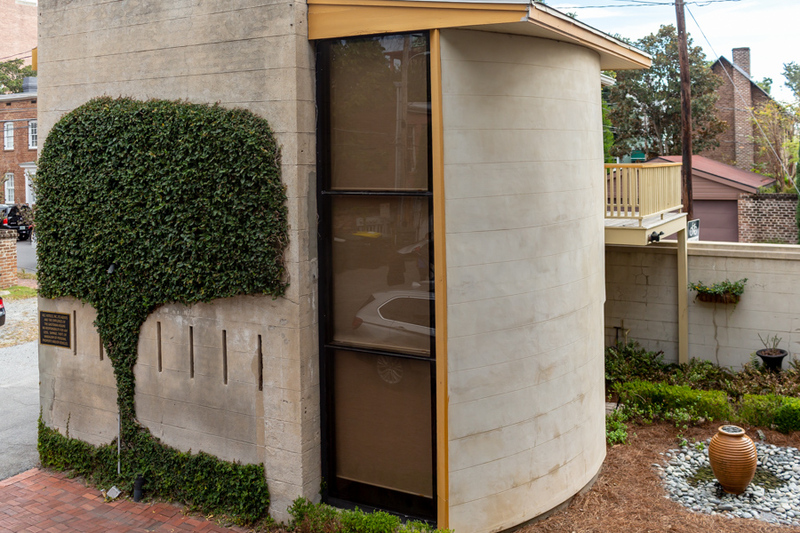 Located on the 2nd floor of the Champion House. 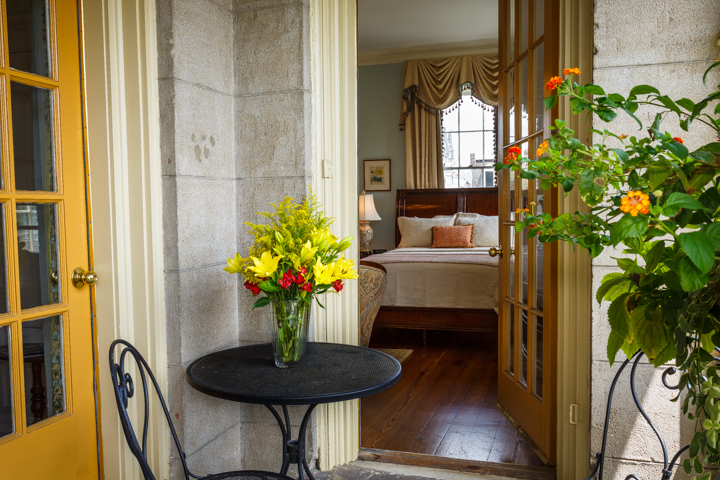 Access to a large, private balcony. 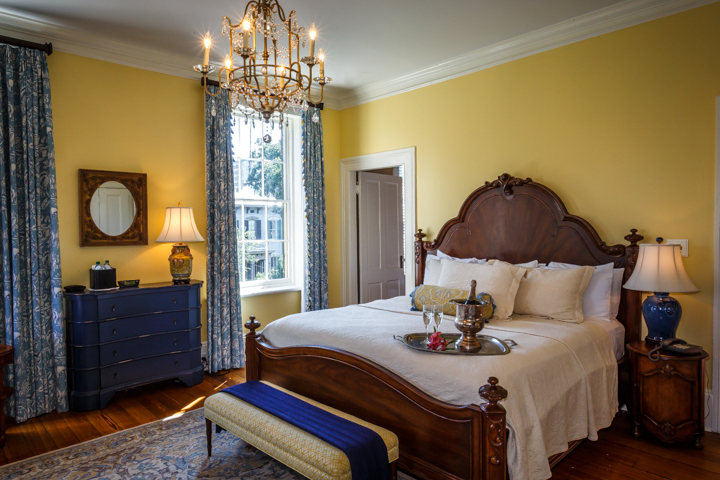 This French-inspired guest room is a guest favorite, with its original crystal chandelier and ample garden views. 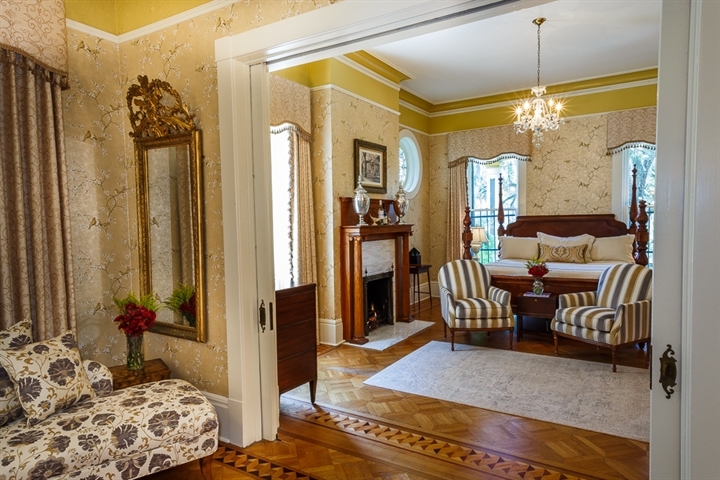 Located on the Parlor level of the Champion House. 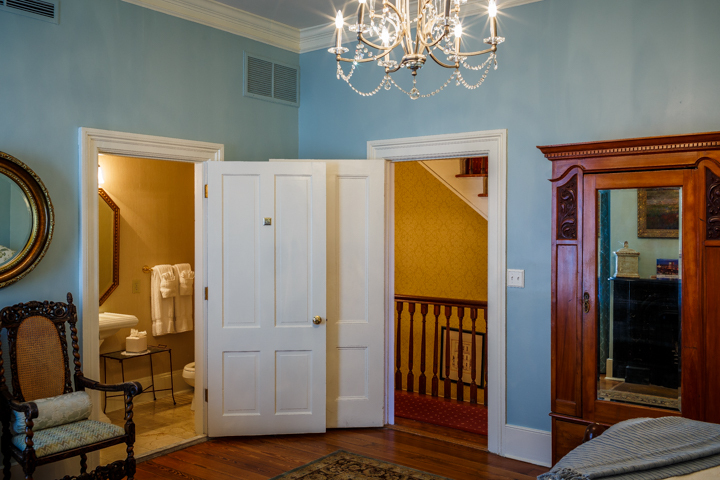 Stairs lead to the second level, where there's a bedroom, bath, and balcony. 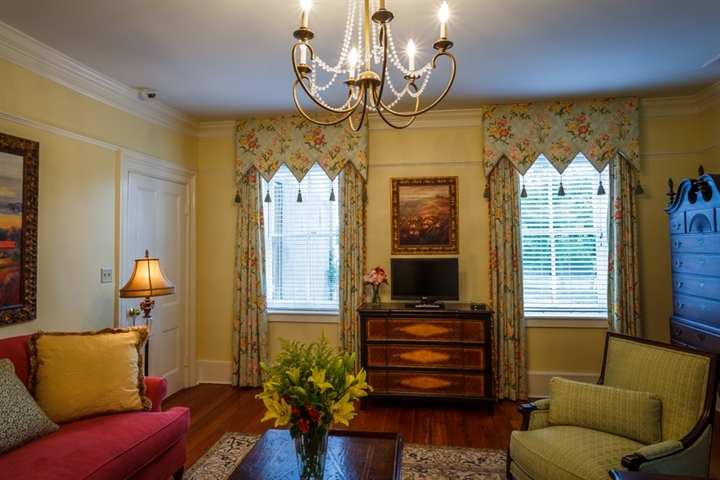 Located on the second floor of the Champion House. 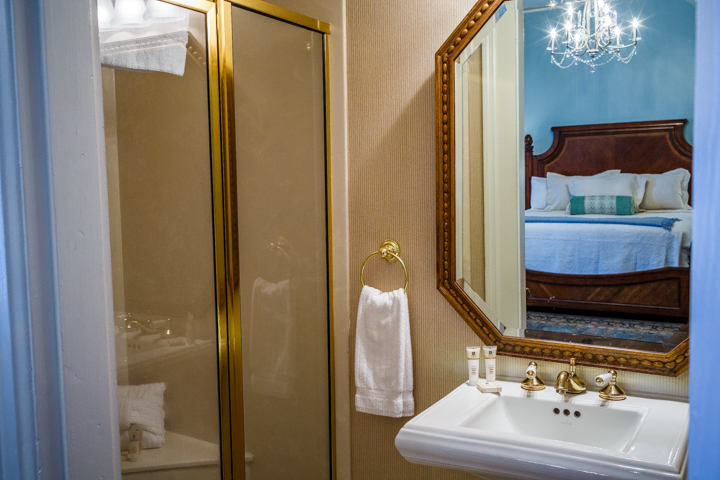 The Deluxe King guest rooms feature private, contemporary bathrooms with baths and walk-in showers. 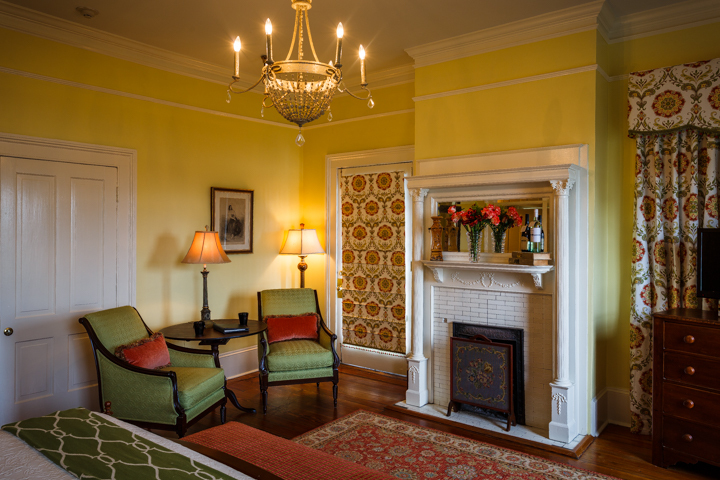 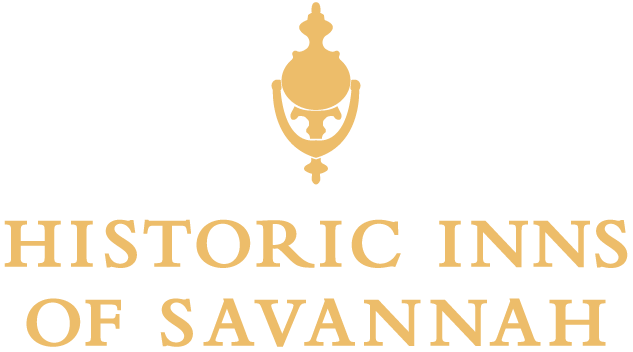 Celebrate Romance at The Gastonian! 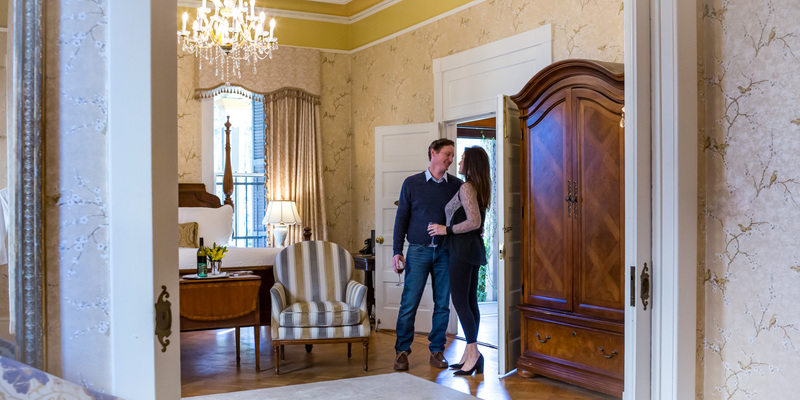 * Throughout 2019, we're celebrating romance, and hope you'll join us. 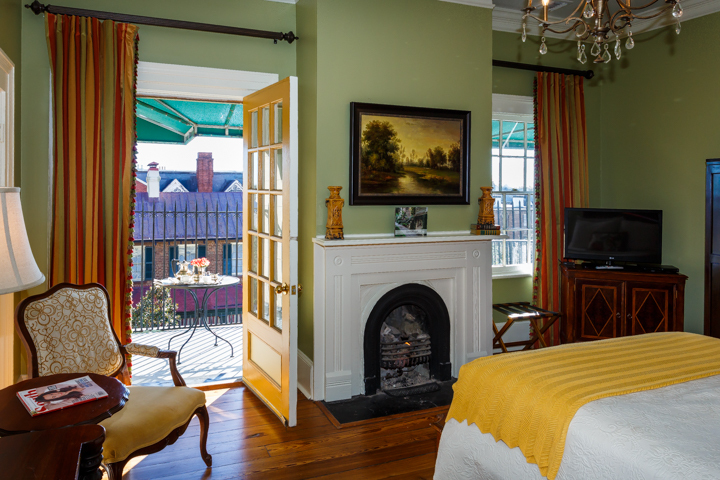 Book direct with us, and save 15%. 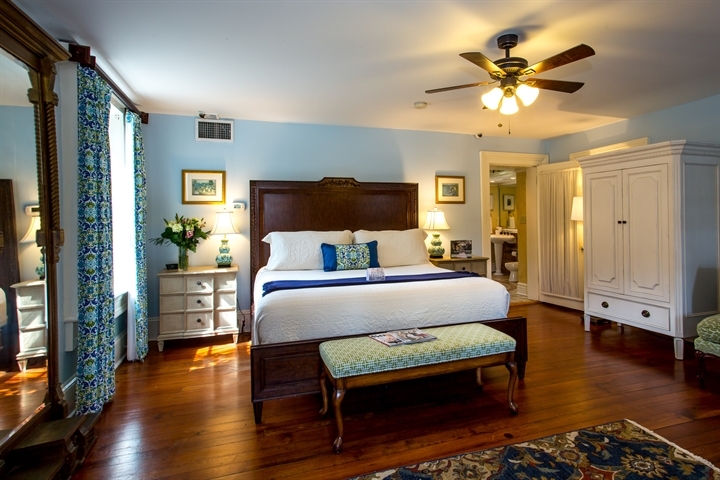 All year, all rooms, all the time! 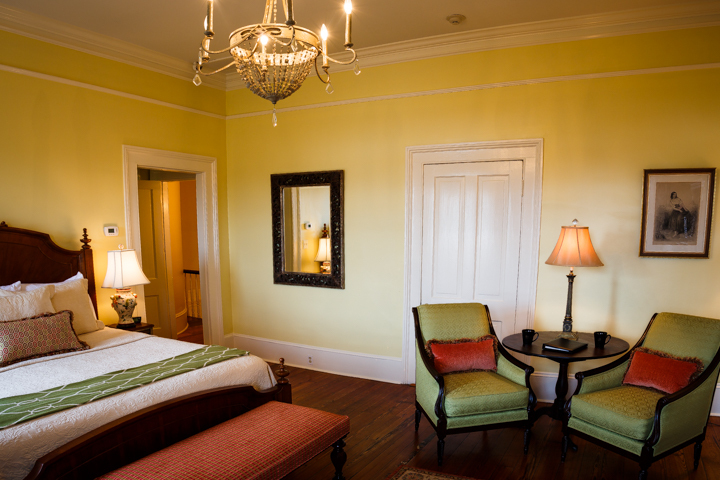 The whole ambience is welcoming and comfortable as well as elegant. 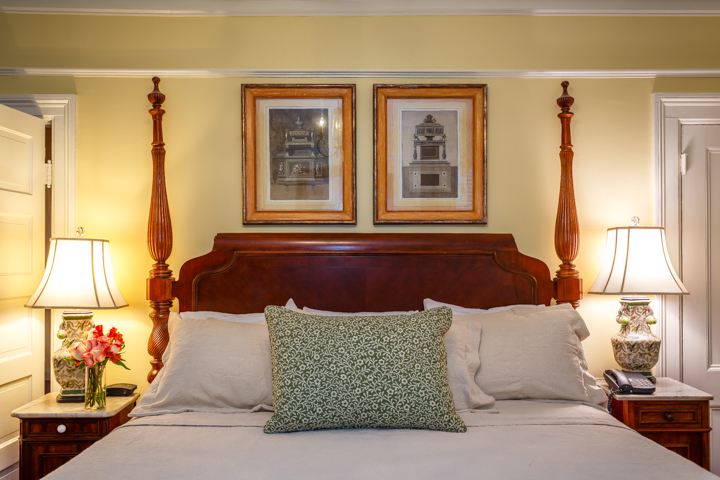 The staff is the most genuinely friendly and helpful that I have ever encountered and I have stayed at many hotels and inns. 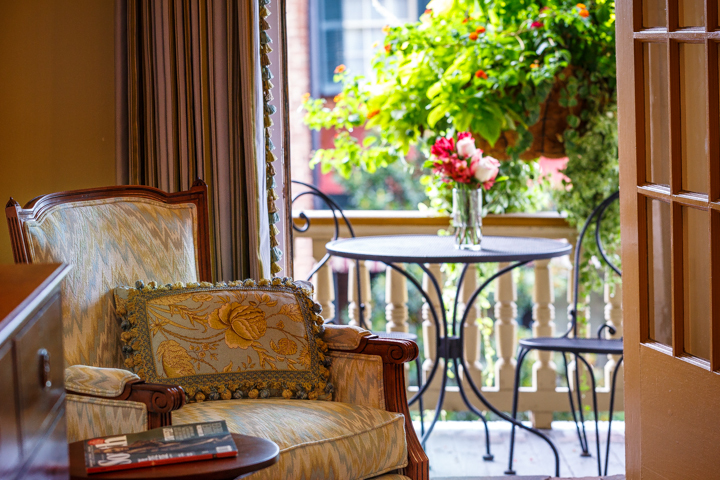 The breakfasts are delicious and the hors d'oeuvres/wine and desserts are tasty after a day of sightseeing or shopping. 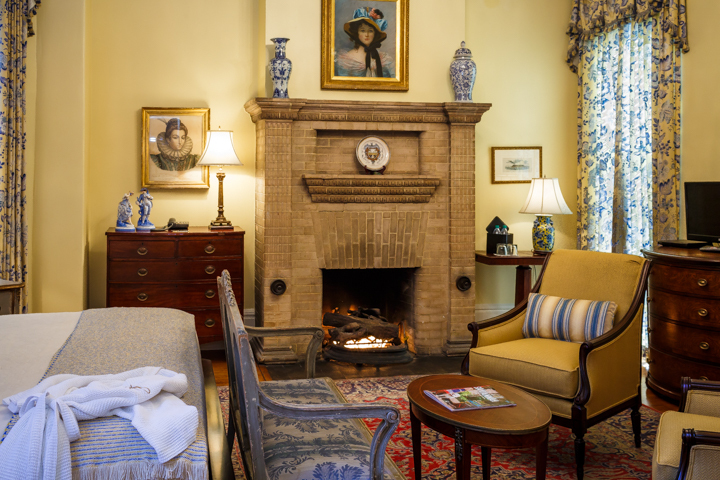 The warmth of the staff promotes a congeniality among the guests - no one is a stranger at the Gastonian.